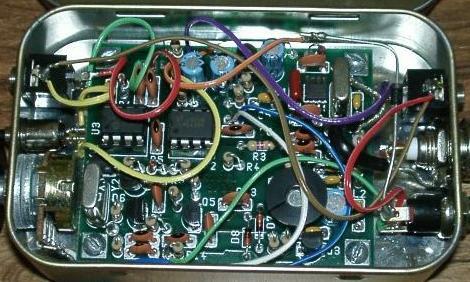 This tiny 0.4 W transceiver runs on a standard 9V battery and works two frequencies on 20m (~14060 kHz). The current distance record is from a ham in Tennessee USA communicating with another ham in New Zealand! The hardest part to build? 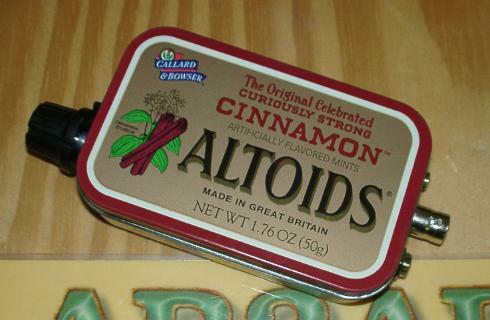 Carefully making the holes in the very thin Altoids tin! A close second, though, would be soldering the SMT (surface mount technology) chip. That took some physical contortions to hold it still with my pinky while soldering, but wasn't too bad. Using my attic dipole which is not suspended too well (it was summer, hot, and I couldn't wait to get out of there! ), I've been able to get as far north as Maine and as far south as Texas from my QTH of SE PA. One OP could not believe I was using only 0.4 W. After a few PSE RPT, I had to let him know through email. He couldn't believe he was copying me correctly. So don't underestimate these Rockmites! I think I'll soon be purchasing MFJ's mini paddles (US $15) which can be stored in an Altoids tin as well. Please let me know if you have a better recommendation. I've also just made a dipole for the RM, and I can't wait to string it up and see if it improves things for me. 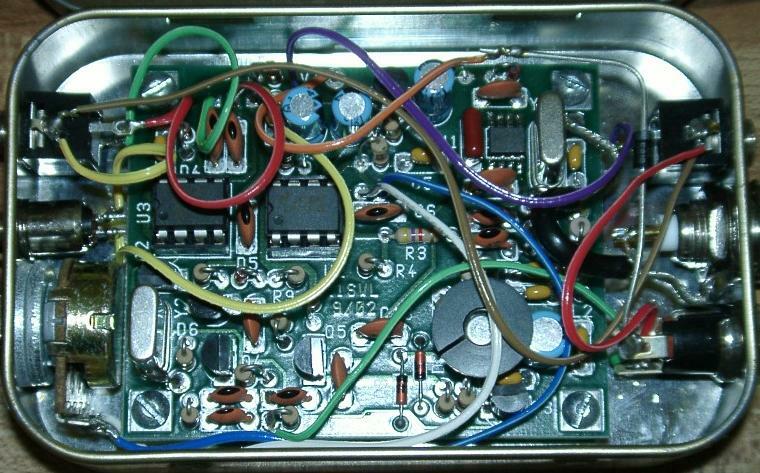 You can also see the Rockmite on top of my antenna tuner in my station photo linked to from my ham page. 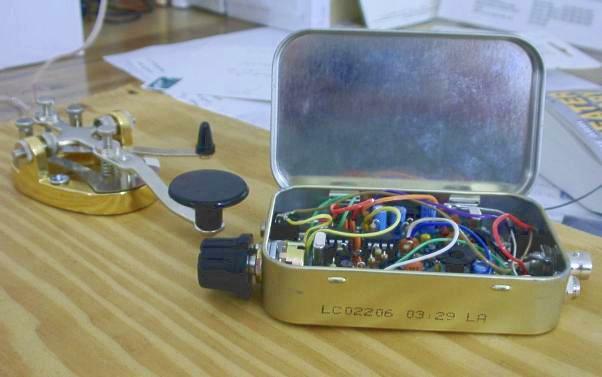 Not your usual candy tin! Click for an even closer peek under the hood.